Coming in May 2019 (details) Pre-Order now for estimated shipment in May 2019 (estimated date / subject to change). 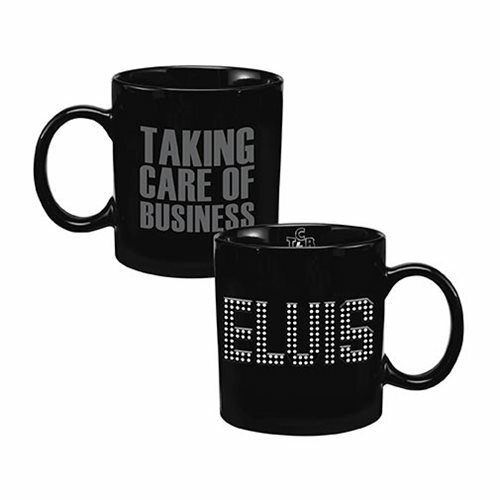 Just like Elvis, you can take care of your drinking business with this Elvis Presley Taking Care of Business 20 oz. Bas Relief Ceramic Mug. 20 oz Cermamic Mug. Measures roughly 4-inches tall.